Wanda DiCicco, a vibrant, 50-year-old woman, had been suffering from arthritis and joint pain for several years. Her pain was consistently an 8-9 out of 10, and limiting her from performing simple daily activities, such as reaching in cabinets, picking things off the floor. Even getting dressed was difficult and painful. 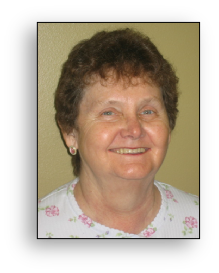 Wanda found temporary relief from cortisone treatments in her shoulders, but did not like getting the shots on a regular basis. Her rheumatologist recommended that she come to ARC Physical Therapy and Pain Center for further treatment. She had never received acupuncture before, but with the pain she was feeling, she was willing to try it. After the first few treatments of acupuncture and cupping, she felt immediate relief from the chronic pain she had, which encouraged her to continue. Wanda also receives massage therapy, ultrasound and exercise. She no longer receives cortisone treatments.